Attendees will be eligible for one (1) CEU credit after completing this training. The number of attendees is limited to 25 so please RSVP here: surveymonkey.com/r/Z8R6T5N. For more information, contact Jenna Farmer-Brackett at (618) 462-2331, ext.1785. 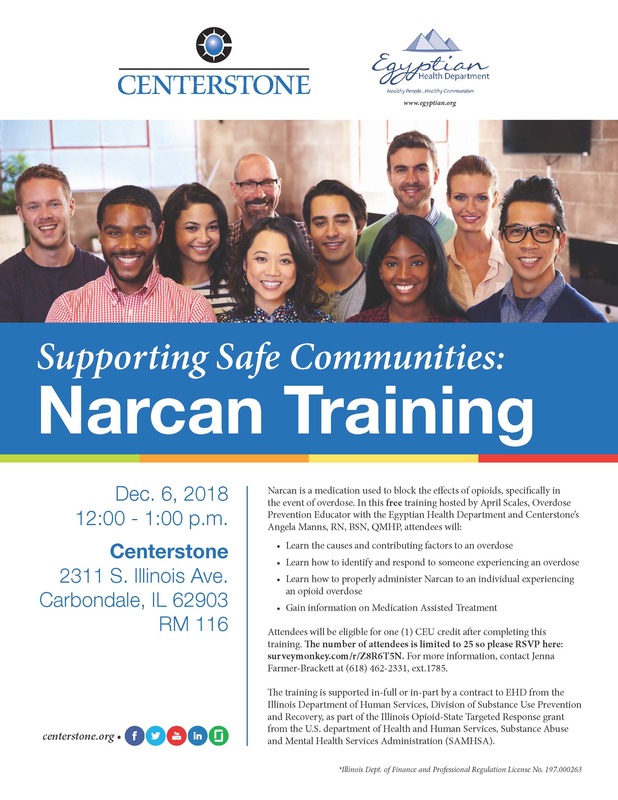 The training is supported in-full or in-part by a contract to EHD from the Illinois Department of Human Services, Division of Substance Use Prevention and Recovery, as part of the Illinois Opioid-State Targeted Response grant from the U.S. department of Health and Human Services, Substance Abuse and Mental Health Services Administration (SAMHSA).